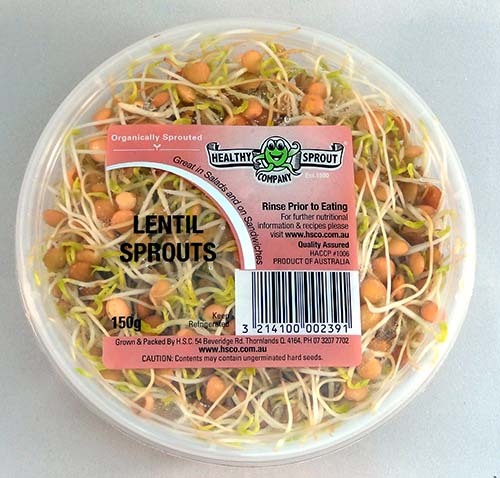 These sprouts are crisp and have a similar flavour to fresh, green beans. A plant of the legume family, grown mainly for its seed, has been part of the human diet since the first Neolithic crops were domesticated in the Near East. Consisting of 25% protein makes it the vegetable with the highest level of protein other than soybeans The optical lens is so named after the lentil (Latin: lens), whose shape it resembles. 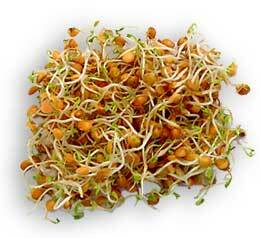 Lentils also contain dietary fiber, vitamin B family, choline, folic acid, inositol, PABA and many minerals. They also have vitamins A, B1, B2, B3, B5, B6, B12, B15, B17, C and K.
Lentils have been used to cleanse and stimulate the kidneys and adrenal system, strengthen the heart and circulation, and increase energy and vitality. 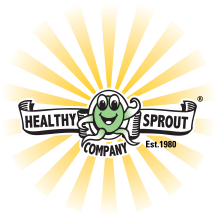 The soluble fibre of sprouts increases 300%, compared to the dried seed.. Combine lentils in a meal with corn, wheat or rice and they will provide better protein utilisation. Microwave or oven back potatoes whole. When cooked cut in half and spoon out the middle. Mix the sour cream, salsa and lentils thoroughly and spoon mixture into a potato shell. 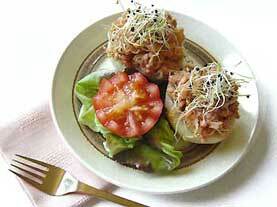 Serve cold or heated, as is or topped with chive or onion sprouts. Alternatively sprinkle with parmesan cheese. A delicious cold (or warm) salad can be made by combining lentils with cut-up baked potato, thin-sliced red onion and choice of dressing.